Milk chocolate mini eggs in a crisp sugar shell. 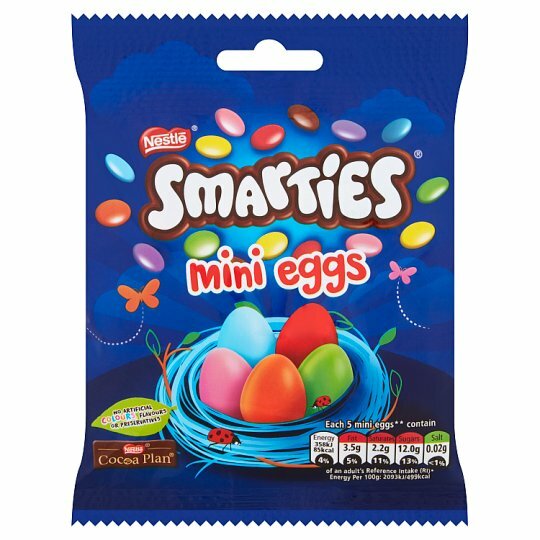 SMARTIES® Mini Eggs are filled with smooth milk chocolate and are a colourful and tasty treat. A novel chocolate treat for Springtime! If you like this why not try our Milkybar Mini Eggs?